The General Overseer of the Redeemed Christian Church of God (R.C.C.G. 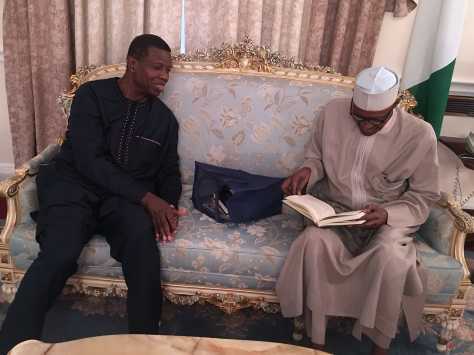 ), Pastor Enouch A. Adeboye visited the Nigeria’s president, Muhammadu Buhari at Abuja House in London on Friday, August 18, 2017. Recently,the senate president, Dr Bukola Saraki and the Honorable Speaker, House of representatives, Yakubu Dogara have also visited the president at Abuja House in London earlier this week as it clocked 100 days president Buhari left Nigeria to united kingdom.